Can I get heated seats? Do I have to get a sunroof? 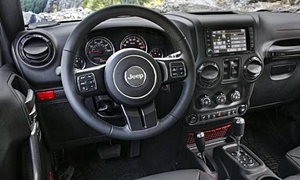 Find out what you need to know about Jeep features right here. Auxiliary switchesSwitches can be customized to operate add-on devices when these are connected to the vehicle. Switches can be customized to operate add-on devices when these are connected to the vehicle. Sound insulation, additionalOnly listed if not standard on all trims. No value because no way to compare across models. Body color fascias / fenders (optional)Only listed if not standard on all trims. No value because no way to compare across models. Externally-mounted spareSpare tire mounted to the tailgate. Spare tire mounted to the tailgate. Rock railsSteel rails mounted under the vehicle to protect the underbody from large rocks when off-roading. Steel rails mounted under the vehicle to protect the underbody from large rocks when off-roading. Tow hook(s), rearUsed to connect the vehicle with another, so one of them can tow the other out of the mud. Upgraded soft topOnly listed if not standard on all trims. No value because no way to compare across models. Heavy-duty front axle (optional)Only listed if not standard on all trims. No value because no way to compare across models. Heavy-duty rear axle (optional)Only listed if not standard on all trims. No value because no way to compare across models. Lockable front differentialThe front differential can be manually locked using a button. Only for use at low speeds on loose surfaces. The front differential can be manually locked using a button. Only for use at low speeds on loose surfaces. Lockable rear differentialThe rear differential can be manually locked using a button. Only for use at low-speeds on loose surfaces. The rear differential can be manually locked using a button. Only for use at low-speeds on loose surfaces. 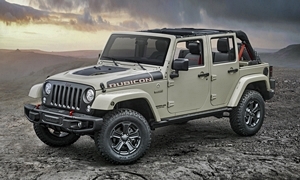 All-terrain tiresOnly listed when pricing a single model because insufficient data for all cars. Disconnectable stabilizer barsThe stabilizer bars can be disconnected to permit additional wheel travel off-road. The stabilizer bars can be disconnected to permit additional wheel travel off-road. Off-road suspension (upgrade)Only listed if not standard on all trims. No value because no way to compare across models. White-letter tiresThe letters on the tire sidewalls are white rather than black. The letters on the tire sidewalls are white rather than black. None of our members have yet commented on the available features of the 2018 Jeep .